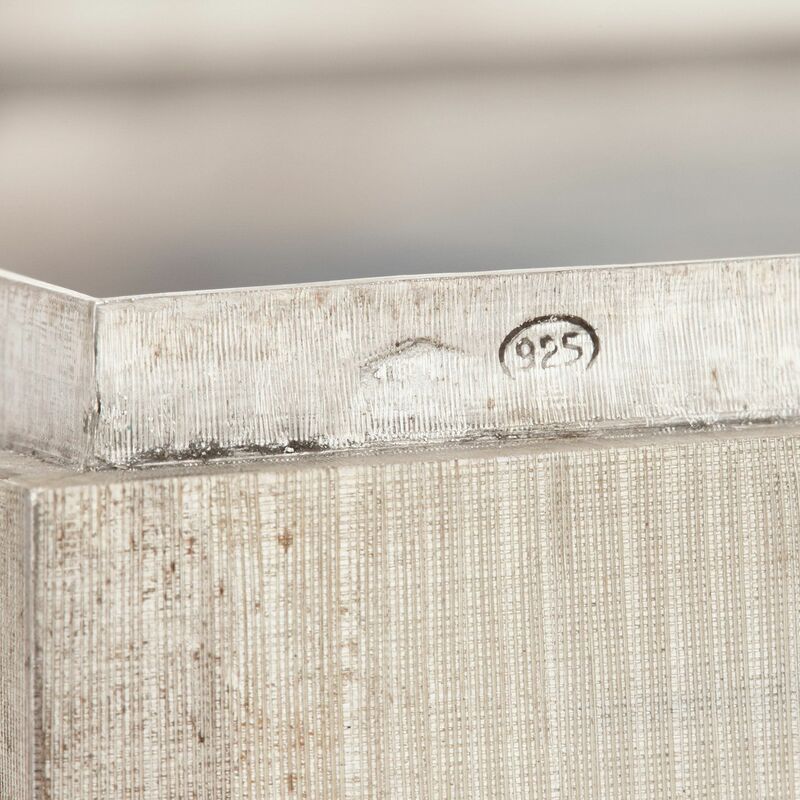 The engraving on the front of this fantastic silver box demonstrates the exceptional craftsmanship of the master Italian silversmith Mario Buccellati. 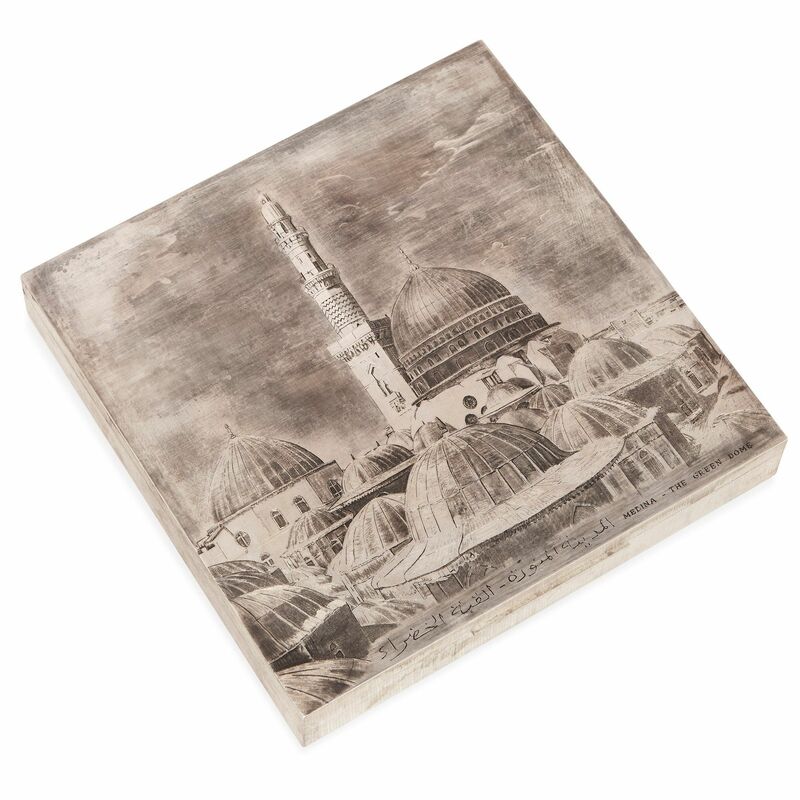 The box is built from solid silver, takes a square shape and is engraved to the top with a depiction of the Green Dome in Medina, a structure built over the tomb of the Islamic prophet Muhammad, in modern day Saudi Arabia. 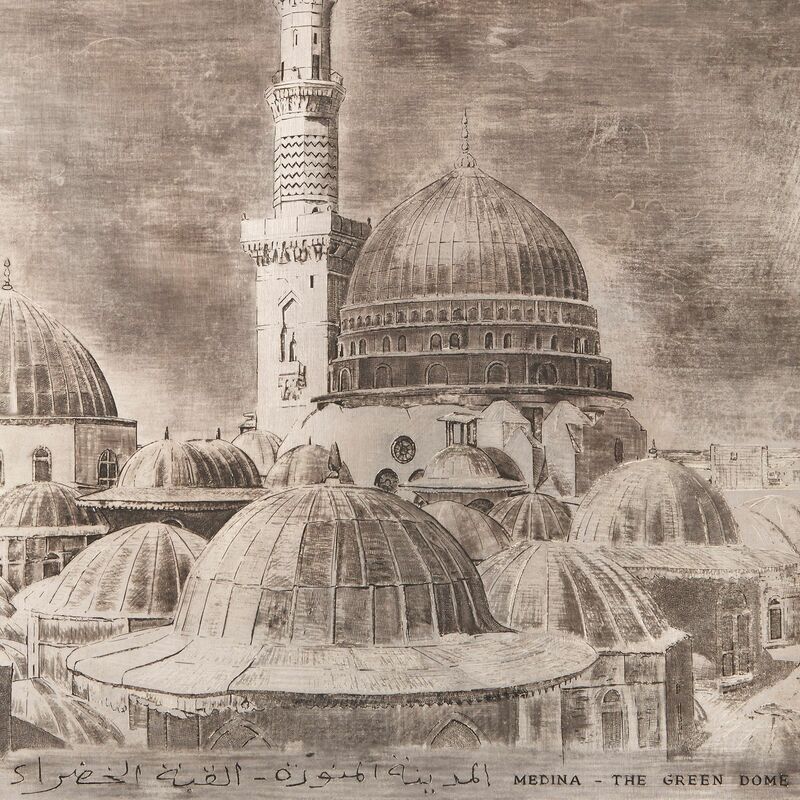 The lower part of the engraved front bears the title 'Medina - The Green Dome' as well as an inscription in Arabic. 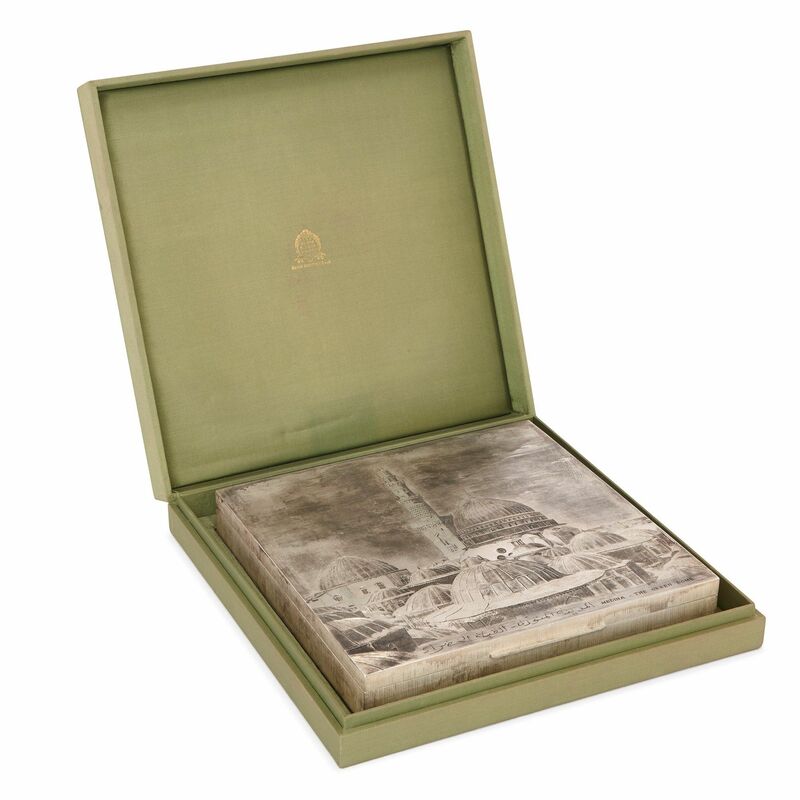 The sides and back of the box have a textured finish, and the silver interior bears an indistinct engraving on the underside of the lid. 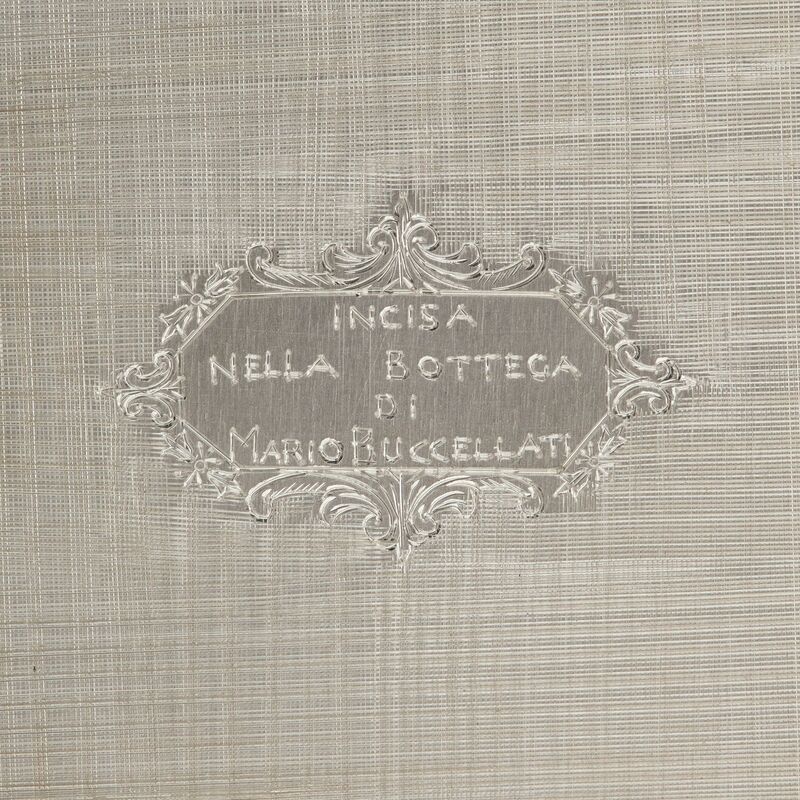 The underside of the box bears an inscription, which reads 'INCISA NELLA BOTTEGA DI MARIO BUCCELLATI' (engraved in the workshop of Mario Buccellati), and there is a silver hallmark on the box's rim. 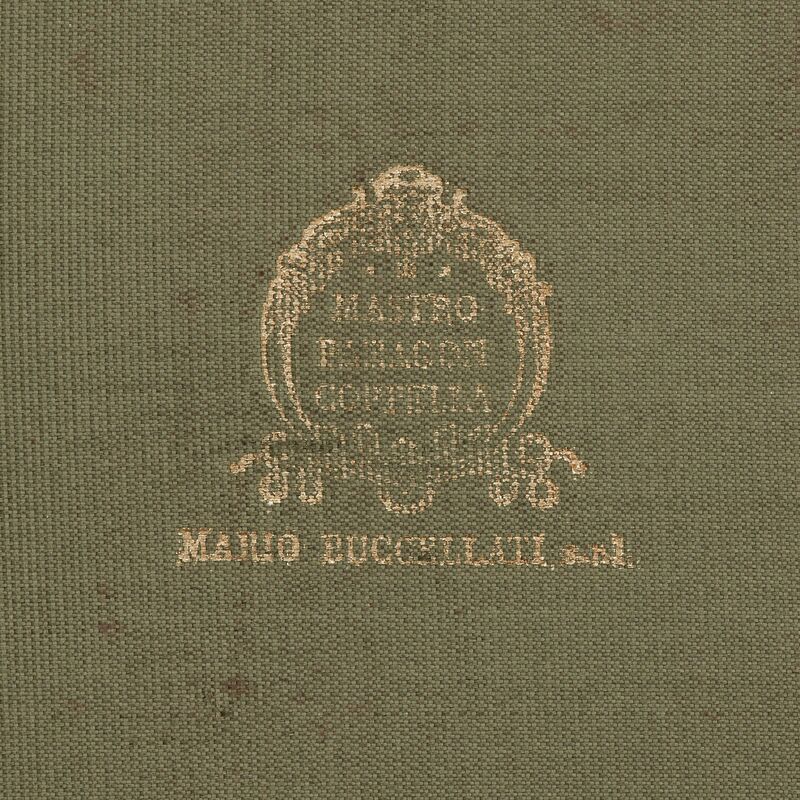 The box is housed inside its original green case, which is also stamped with the mark for Buccellati. 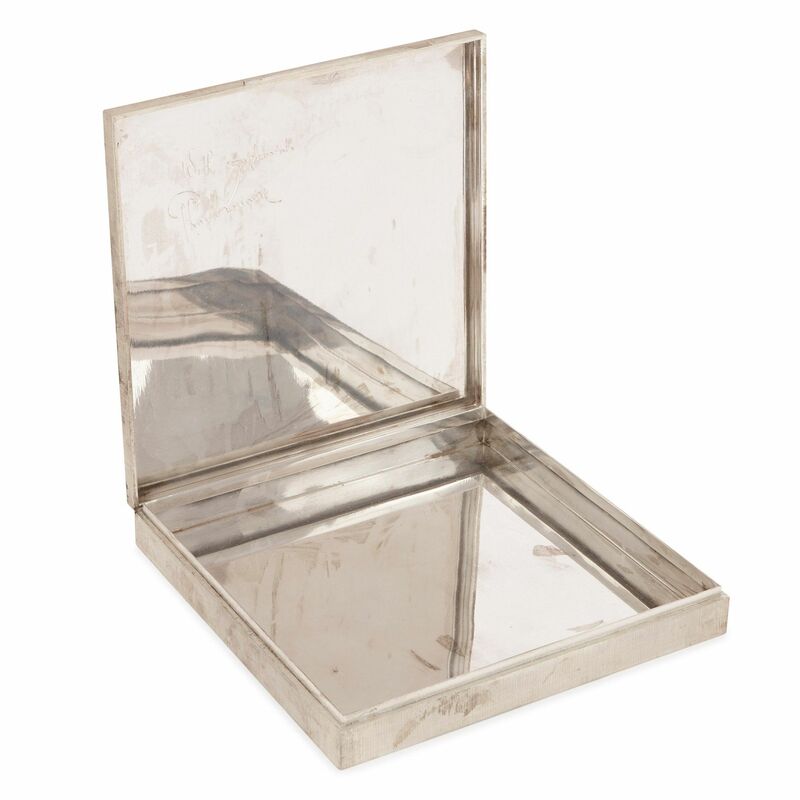 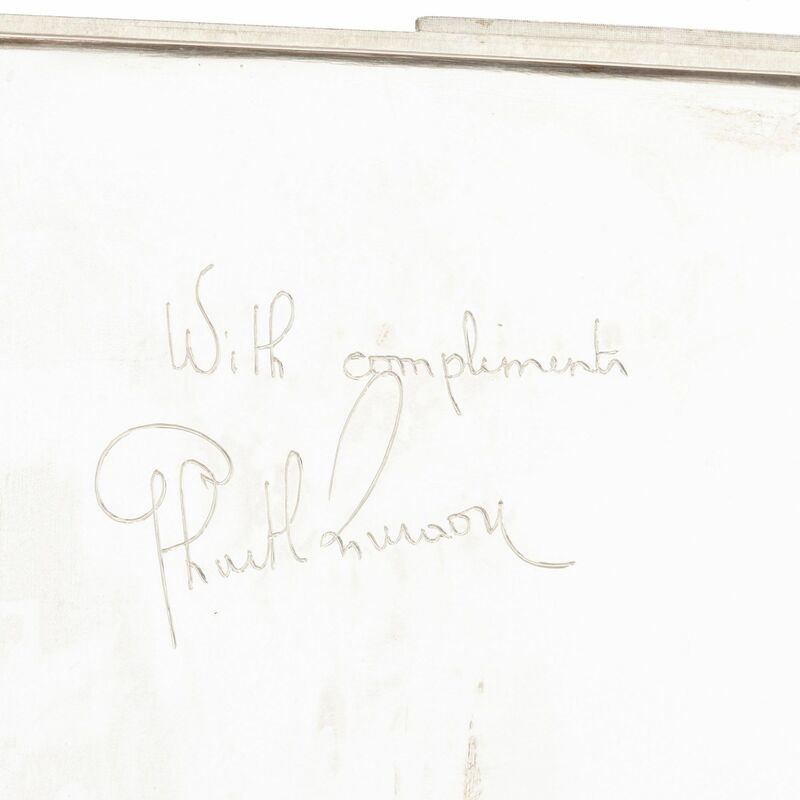 The box is similar in form and decoration to this other example. 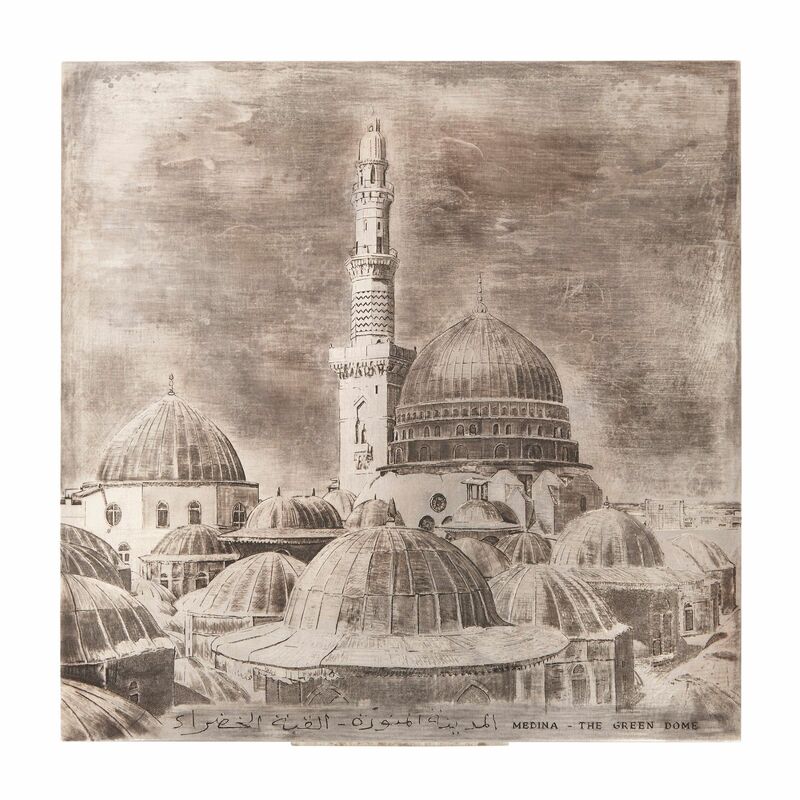 A very similar Buccellati silver box of the Green Dome in Medina sold for $22,500 at Christie's Dubai sale 7801 in April 2009.